When stormwater control systems were first developed, the main goal was to control flooding; these systems focused on quickly directing runoff water from streets and sidewalks into local waters. It was not until more recently that the quality of that water became a concern. Today, stormwater is the leading source of water pollution in the United States, and it is the only source that is growing year after year. 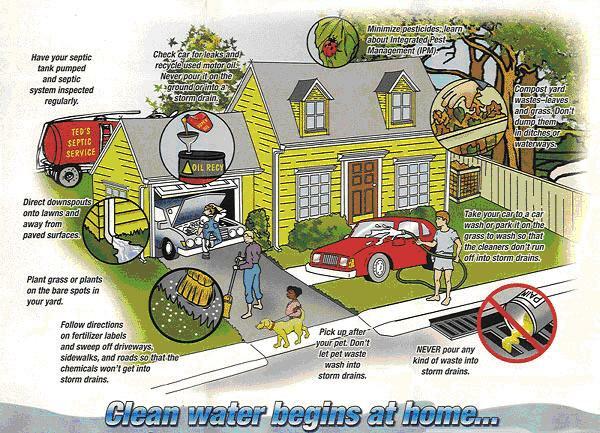 After it rains, stormwater runs over our streets, yards, and farms, and it carries the pollutants that it picks up into our local streams and rivers. And it does not stop there! Those streams and rivers eventually flow into the ocean, where stormwater is even believed to be a major contributing source to oceanic dead zones. So what’s in that water that is causing so many problems? Here, we’ll outline the major stormwater pollutants you should know about. Nutrients are supposed to be a good thing, right? I mean, they are essential for life! However, there is such a thing as too much of a good thing—and we crossed that line a long time ago in terms of two essential nutrients in our waterways: Nitrogen and Phosphorous. While nutrients are still necessary in aquatic ecosystems, these systems have become overwhelmed by excess nutrients from fertilizers running off of residential yards and agricultural lands. 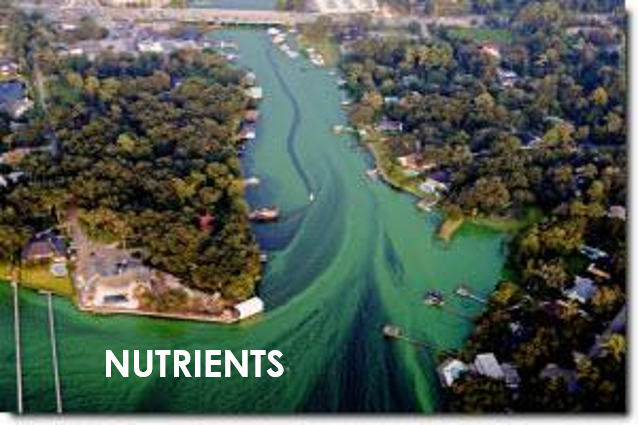 These excess nutrients drive a process called eutrophication. Eutrophic systems can be described as growing out of control (think, kid in a candy shop = algae in a nutrient-rich system). They often experience algae blooms, and eventually become too overwhelmed to support life at all. 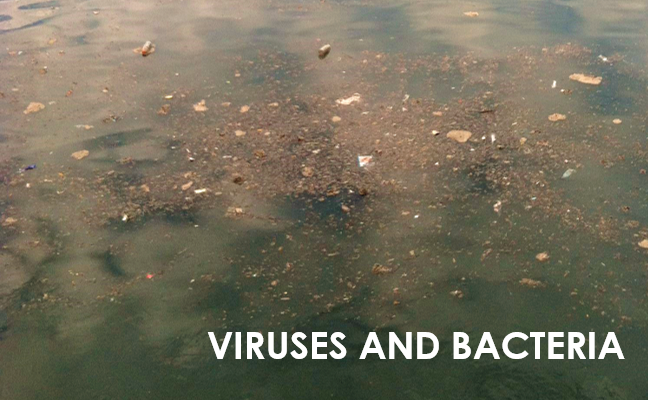 Nutrient pollution is thought to be responsible for several oceanic dead zones. 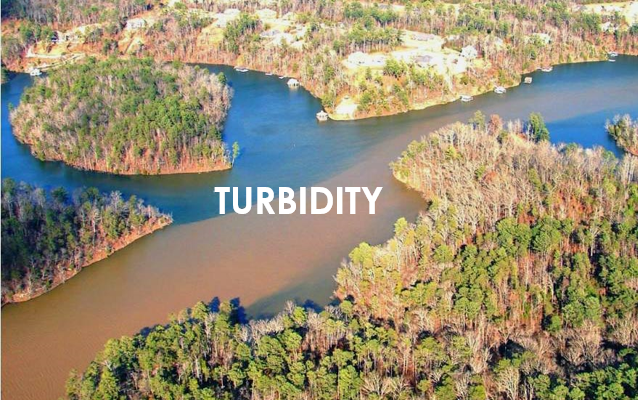 Turbidity is a measure of the clarity of a liquid. Very turbid water looks cloudy due to suspended solids (usually dirt, but can also include other particles like pollen or algae). Disturbed lands such as construction sites are a major contributing factor here. Much like nutrients, it’s often counter-intuitive to people that plain old dirt could be harmful. I’m sure you’ve heard the saying “God made dirt, and dirt don’t hurt”, right? If only that were true! Dirt can cloud water and block out sunlight, which makes it hard for aquatic plants to photosynthesize. Dirt can also disturb gills of fish making it hard for them to breathe, and it can settle into calmer waterways and suffocate fish eggs. In extreme situations, dirt can also fully block and disturb shallow aquatic habitats like small streams. I am not going to make a Black Sabbath joke here. The heavy metals we’re concerned about in stormwater are Mercury, Lead, Cadmium, Chromium, Copper, and Zinc. 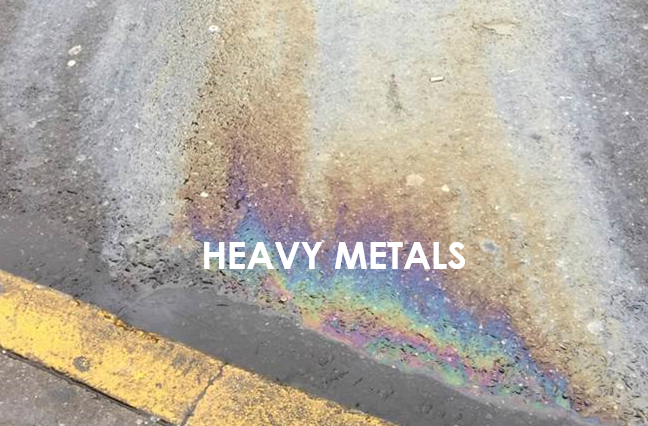 Metals get into stormwater because they are present in vehicle engines and car tires and get mixed with the oils that drip out onto streets and parking lots where the rain picks them up. These metals are often present in trace (i.e., very small) amounts, but they can bioaccumulate and magnify up the food chain. Many heavy metals are known toxins in even very small amounts. As rain water flows over the ground, it picks up whatever is in it’s path. This can include animal waste that contains bacteria and viruses. In some regions, stormwater and sewage mix in the same pipes and are discharged together into local waters. This situation, called a combined sewage overflow, means that raw human waste, along with pharmaceuticals and anything else in the sewage system, flows untreated into local waters. In these areas, pollution is so severe that local waterways will often have to be closed to public access for some period of time after a rain event. Stormwater is so hard to treat because it’s what’s called non-point source pollution, which means the source is no one specific place but is rather a collection of thousands of smaller sources: little bits of everything the rain water came in contact with. That can seem like a lot to tackle, and it is—but there is actually a lot you can do around your home to help! Proper management of your pet waste, fertilizer application, and any other chemicals you use around the house are a big help. Washing your car at a car wash, where the runoff is properly collected. Getting regular oil changes and taking care of your car regularly to prevent chemical leaks. Build your own rain garden! And so much more.